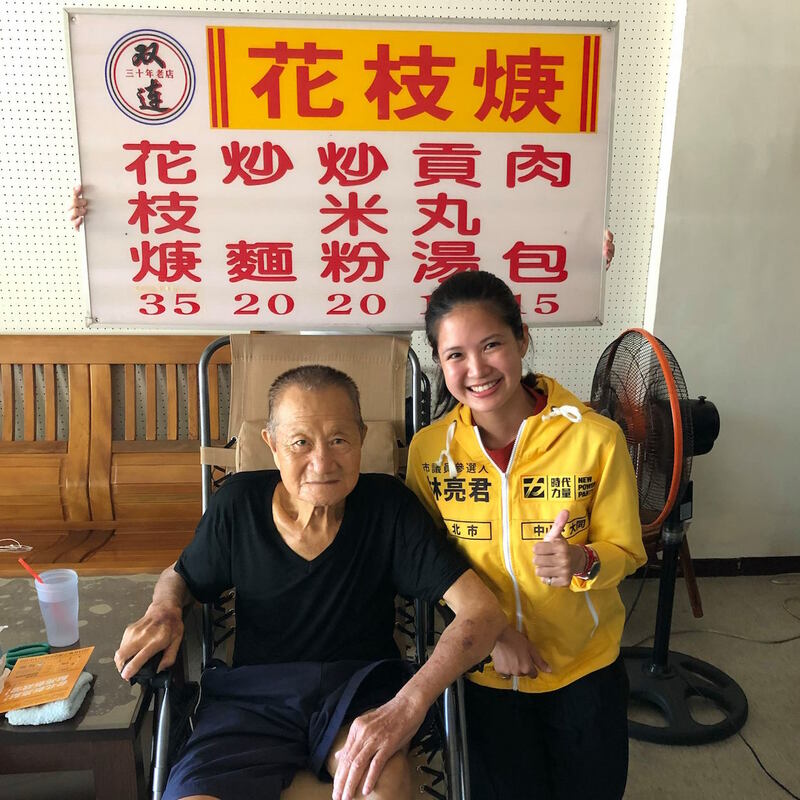 On September 29th, New Bloom editor Brian Hioe interviewed Sabrina Lim of the New Power Party, who is running in the Zhongshan-Datong area of Taipei. This is part of New Bloom’s ongoing series of interviews with independent city councilor candidates, as part of its special 2018 election coverage. 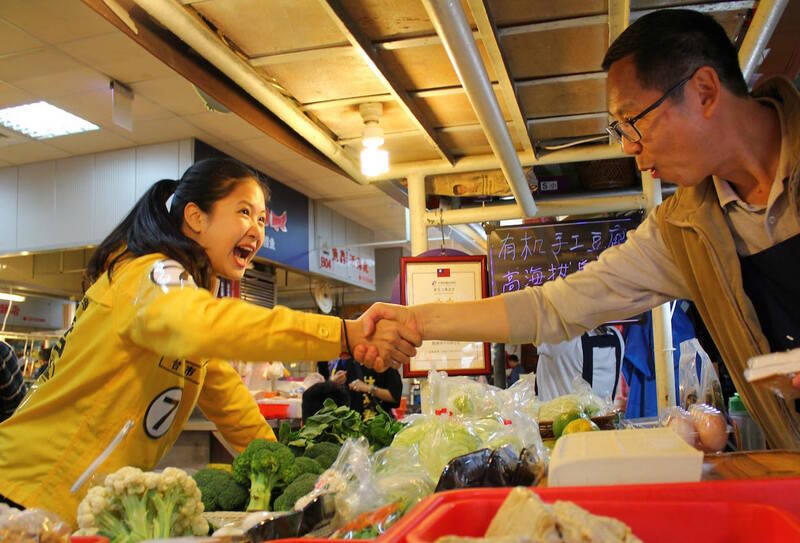 Brian Hioe: First, could you introduce yourself for those who may not know you? 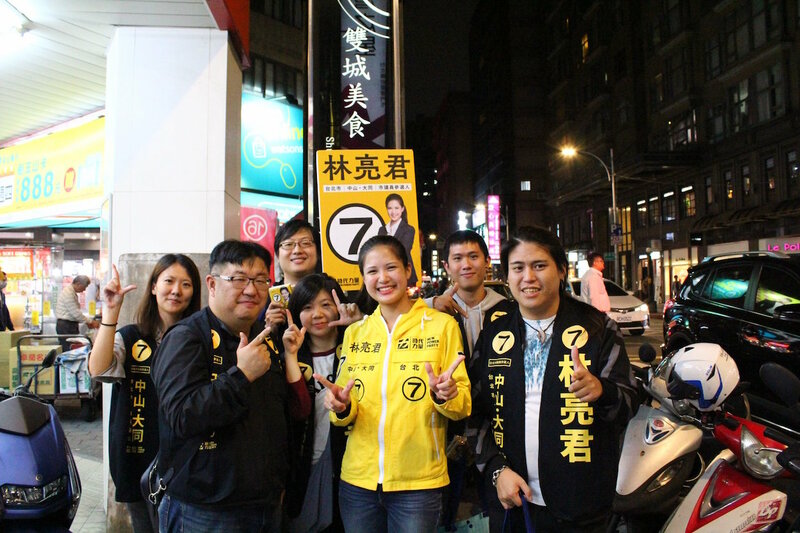 Sabrina Lim: I served as an assistant to a Taipei city councilor when I was 19. Of course, among younger candidates running currently, most have backgrounds in social movements, but my background is a bit different. As an assistant to Taipei city councilor, I worked there for almost four years. After I ended working there, I went to Tsinghua University to study for my MA in the Science and Technology and Law Institute. Subsequently, I participated in some social movements including campaigns to recall KMT legislators after the Sunflower Movement. 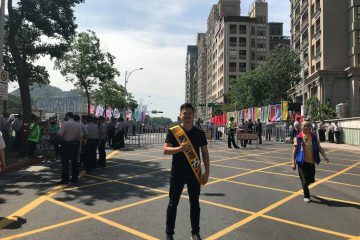 Following the Sunflower Movement, along with Lin Fei-Fan, Chen Wei-Ting, and Huang Kuo-chang, I helped start Taiwan March to amend the Referendum Act. I finished my MA last year, then returned to Taipei and worked in Freddy Lim’s office. So my participation in city council elections began from inside the system, then moved to outside of the system, to now seeking to re-enter the system. I think this is a point where I differ from other candidates. What is different is—because I worked as an assistant to a city councillor for some time, I have a certain understanding of what the work of a city councillor consists of, as well as of how they normally interact with the city government. BH: Why did you decide to join the NPP? What kind of values do you think that the NPP represents? SL: Of course, I would never choose to run for the KMT. [Laughs] For young people with a sense of local Taiwanese identity, that would never come into consideration. As for running for the DPP, Social Democratic Party, Radical Party, or other political parties, my relation with the NPP may be because of a history of cooperating with Freddy Lim and Huang Kuo-Chang in social movements. 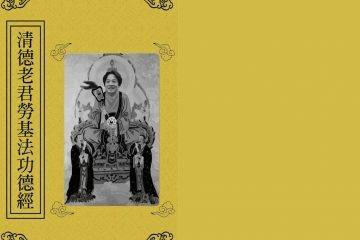 I believed that after the end of the Sunflower Movement, using a political party to influence Taiwan as a localized political force was something new. Of course, the SDP and Radical Party have different ways of doing things, and a different orientation, but what is key about the NPP is that we hope for Taiwan to become a normalized country. For the sake of this aim, there are many tasks we need to take up, such as transitional justice. The Tsai government is already pushing for this and the NPP is also very concerned with this, as well as other issues, such as amending the constitution. Of course, this process is one step at a time and there is a need to be attentive to what the current government is doing. We need to provide oversight over the government; this is something that absolutely must be done. Of course, we hope that the current government can complete these tasks. In the past, as the political opposition, the DPP served as a means of oversight over the KMT, but at present, the DPP is overseen by local parties including the NPP, SDP, Radical Party, etc. This is something good for Taiwanese politics, because this allows local parties to jointly consider our future, and it is hoped that this will allow Taiwan to normalize its position in the international world. We can’t have a party that leans towards China in the baffling way the KMT does. 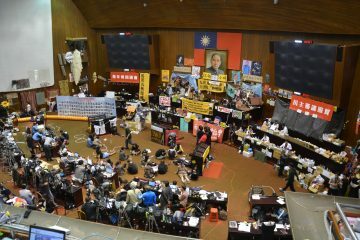 In the past, between the two extreme poles of the DPP and KMT, there was no way for Taiwan to advance. But as for the present, we hope for honest competition between local parties; this is the only way for Taiwan to move forward. This also cannot simply be hurling names at each other. This is why I would chose to join the NPP and not the DPP. BH: What do you think is different about yourself, as compared to other political candidates? SL: I am the youngest political candidate in this district, which reflects something. Many people will refer to Freddy and Huang Kuo-Chang as young politicians. But in reality, Freddy is 42 years old and Huang Kuo-Chang is 45 years old. Both are in their forties and could be said to be in the prime of their middle age. [Laughs] Young people are usually thought of as from 20 to 35. The amount of young people in political office is quite low, and our representatives tend to be old, as well as people who have held office for a long period of time. I believe that this is harmful to a democratic society. Of course, as I said, I am the youngest candidate in this area, but I believe Taiwan can look towards France and other countries, whose leaders are relatively young. Whereas in Taiwan, some local politicians may have been in power for eight to ten years. This is not to say there is something bad about those who are older, but still, they cannot take into consideration the needs of young people. If mayors are older, this may not be an issue, but as for our elected representatives—can we have some young people to lower the average age of our elected representatives? As such, I hope more young people can run in the future. BH: What is particular about running in this district? Who are your opponents and what is your election strategy? SL: Zhongshan and Datong are slightly conflicting areas. Zhongshan is more urban, while Datong is an older neighborhood with an aging population. What is interesting is that this reflects the development of Taipei. Development in Taipei began in the west, even if the center of the city has moved east. These are both important. There needs to be thought as to how to address the issues of both generations in this district and I think this is something I have learned a lot about from running here, which points to the homework I have to do. With regards to competitors, Datong slants towards the pan-Green camp. Outside of Datong, including Zhongshan, the area divides between the pan-Blue and Pan-Green camp evenly. Of the current city councilors, the DPP has four seats, the KMT has three seats, and the PFP has one seat. The DPP tried to run more candidates here, but these attempts led to a loss of seats, even though by vote share, there could be more than four seats. Why could it not expand in this area? One reason returns to the voting mechanisms of the DPP itself. Second, I believe that many voters are unable to or will no longer support the DPP. Of course, the city government can be praised in some respects and criticized for others, and there are also those who hold grudges against the government. I believe that in regards to the young voters who supported Tsai Ing-Wen and DPP legislators last time, this time because there will be more choices, there will be some changes in the results. I believe that are many who will vote for local parties, and so this provides an opportunity for the NPP. NPP supporters and young people hope for us to be able to enter into local politics from the legislature. Taking care of local political affairs through a political party is difficult. Freddy has tried to take care of his local district of Zhongzheng-Wanhua. But in reality, we need to be able to address grassroots matters and to develop roots at the local level. There are two political newcomers in this district. One is me and the other is from the DPP. In these kinds of situations, in fact, anyone would say that they themselves are a newcomer. But what’s more important is that people remember the need for a new political force to enter the legislature after so many years. This is key. I also emphasize generational issues—I believe that politics should have more young people participating. The other political newcomer is a bit older, which brings us back to the need for a new political generation to enter into the system, to allow for discussion between the older and younger generations in order think clearly about policy. BH: What kind of challenges do you need to overcome in running for office? SL: As a newcomer to politics as well as a member of the NPP, first, we have to overcome the challenge that we aren’t the DPP. We haven’t conducted local politics for a long time, with local organizations. The DPP has very tight party networks, which the NPP lacks. This is the first time we are trying to establish a stronger grassroots base for the NPP, but this is what is toughest. How do we find NPP supporters? This is what we are working on. For the NPP, we are frequently faced with the question of why voters should support us and not just the DPP. Well if you have local, Taiwanese values, then I think this returns to what I said earlier. Taiwan shouldn’t have only the competition of the pan-Blue and pan-Green camps. 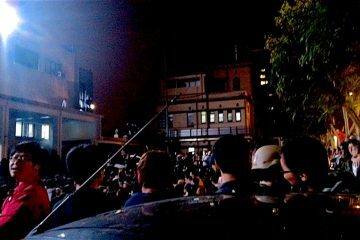 This situation is what has blocked social progress in Taiwan. Instead, a shared basis for honest competition between local parties is what can allow for the normalization of the country. In this process, each party has its own way of doing things which often creates a healthy competition. But the KMT isn’t like this, so we can’t afford to be caught up those vicious competitions and vicious cycles. Other issues we face are more practical, for instance, election expenses. Small donations still are our main source of funding and are a way for young people to participate in politics, even if they may not have a lot of money. 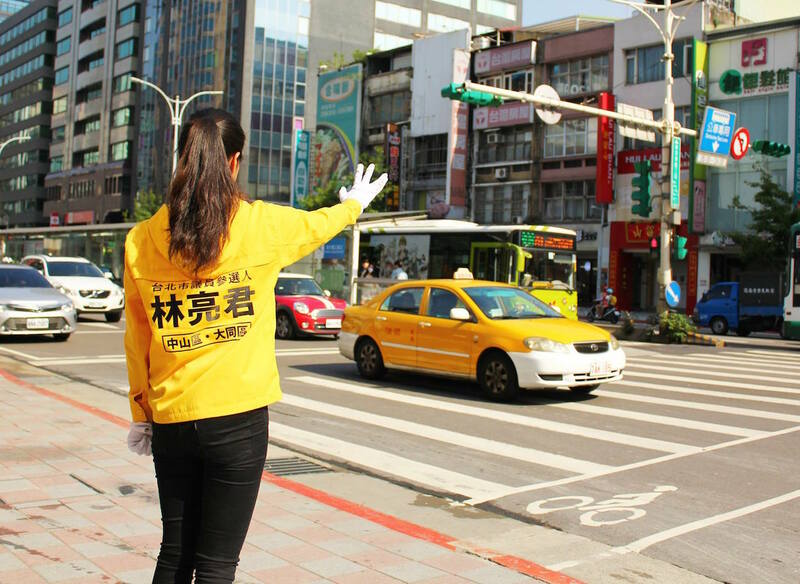 I believe this is a positive thing, but realistically, elections cost money, especially in Taipei— although it is also expensive in other cities—for example, billboards are quite expensive in Taipei city. I believe that the other four NPP candidates in Taipei confront similar issues. BH: Do you believe that the appearance of the Third Force can be connected to other political phenomena around the world? SL: I believe that in reality, other countries—particularly in western countries—have gotten beyond the exclusion of small parties we see in Taiwan and that Taiwan is slower to progress forward in this regard. In Asia, there are some improvements, and I believe that although we are moving towards progress after the Sunflower Movement, we still have a long road to walk. 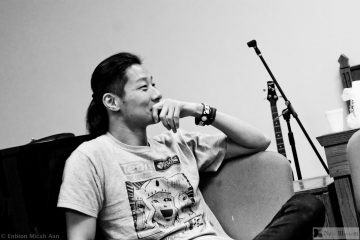 Of course, during the Sunflower Movement, we were supported by people from western countries such as America and Europe, as well as parties and young people from various countries. I believe that in general, as young people do not like old movement or political methods, they’re now coming out like this to challenge the old framework. BH: What do you think is different about this year’s elections as compared to two years before? Tsai Ing-Wen has now been in power for two years. SL: I believe that 2016 directly followed on the heels of the Sunflower Movement in 2014, and as a result, there was a high point of concern with political issues. The turnout was quite high in 2016, which was also a product of the fact that these were legislative elections in which each region only picks one legislator, and so people with extremely opposing ideals were running for the same seat. But I think that our efforts this whole time to oversee the DPP has not been any weaker than the KMT, in fact, we focus on this more than other parties, so I don’t understand this criticism. Nonetheless, we are also a localized party; this is a label I can accept. So for this election, some may feel that it’s fine to just vote for the DPP. Why vote for the NPP, then? Because city council elections allow for more than one person in an area to be elected, so there are more choices. So we have to emphasize the importance of voting for a new local party. As such, between 2016 and 2018, the election system is not the same. The city government will also the direction young people vote in. The NPP has raised many policies in the last two years for the sake of young people, including with regarding labor policy, but we can see that the Tsai administration is under pressure and is sometimes afraid to take decisive action. This has, of course, led young people to feel disappointed that hopes for reform weren’t met and there doesn’t seem to have been change. 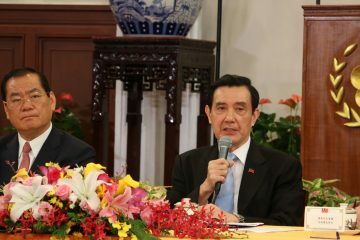 Of course, the Tsai administration has been more decisive regarding pension reform, but as for issues that young people are concerned with—such as labor rights, marriage equality, and these kinds of things—the Tsai administration has been very ambiguous and doesn’t dare to make its position clear. I believe that this disappointment will lead many young people not to support the DPP in upcoming elections. However, there is the interesting factor of Ko Wen-Je in Taipei mayor elections that is not present in other local elections. The era of Ko Wen-Je seems to have brought about the pattern that young people support local consciousness, but do not support the DPP, and instead choose to support a new force. With regards to mayor Ko, we of the NPP hope that he will have better performance, and this is in reference to seeing politicians like Pasuya Yao of the DPP and Ting Shou-Chung of the KMT continually make promises of giving out in order to seek votes, when what is needed is not short-term promises of handing out money but a concrete vision. This has lead to skepticism from young people. 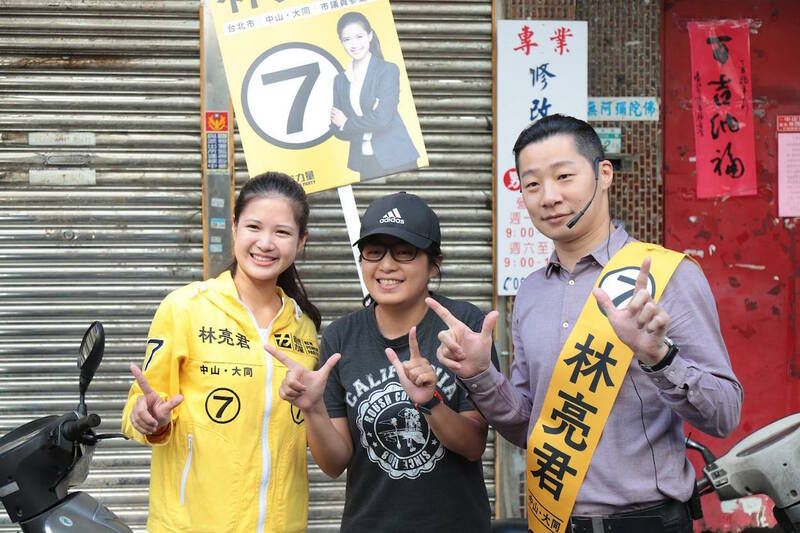 For the Tsai government, this set of elections can be seen as a midterm, and the DPP has put forward its own candidate for elections in Taipei this time. But in terms of facing Ko Wen-Je—who has no party, does not belong to any faction, and is currently pursuing reelection—will young people be convinced by any policies put forward by the DPP? BH: Lastly, what would you have to say not only to Taiwanese readers but also international ones? SL: I believe that because Taiwan has less international visibility, I very much hope that if elected as a city councilor, I can go to other countries to conduct exchanges with other country’s city councilors, political groups, and other groups. I hope that people from other countries can understand the problems that Taiwan faces that this is a country with hope, that what Taiwan does is different from other Asian countries, and areas in which we could have closer ties. With regards to the problems Taiwan faces, I hope that this is something the world will pay close attention to—the continuous Chinese influence on Taiwan. However, looking at its trade war with America, or even One Belt, One Road, Chinese influence is not only limited to Taiwan, but it is global, and thus, international attention must be focused on this. By looking at the status of Taiwan under Chinese oppression, you can see that China’s influence on global development and trade is something we need to be careful of. But if people pay attention to Taiwan, its domestic issues, its democratic development, and its complicated relationship with China, this could be helpful.